Happy New Year all. I hope you have all had a fantastic break whatever you have been up to and now raring to go with 2016. Personally I am looking forward to this year and more than anything I want to make sure I spend more time on the things I’ve somewhat neglected over the years – sleep being one of them! Oh, and to read more books, get back into my exercise and of course blogging. 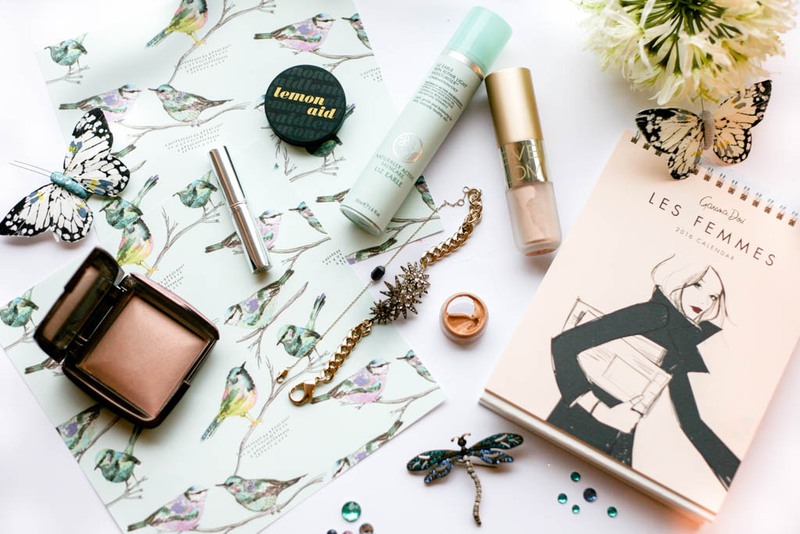 As January is now well and truly underway I’ve got a few new things to share with you – some sneaky purchases and some makeup and beauty bits that had been on my “to buy” list for a while. First things first with winter, central heating and the like drying up my skin more so than usual a new moisturiser was a must and having heard great things about the Liz Earle Skin Repair Light Moisturiser for combination/oily skin, I didn’t take much persuading to go for this one. It is early days yet but on first application this feels so much more hydrating, it livens up my skin and works well under my makeup, plus those noticeable dry patches on my forehead definitely seem to have disappeared…but time will tell. Benefit’s Lemon Aid is something I decided to revisit after using this many years ago. It’s basically a yellow eyelid primer that can be worn on its own or under your eyeshadow and is great at neutralising any redness on the eyelids. It is also good for those days when you just can’t be bothered with the whole eyeshadow thing but still need something to liven up your eyes. 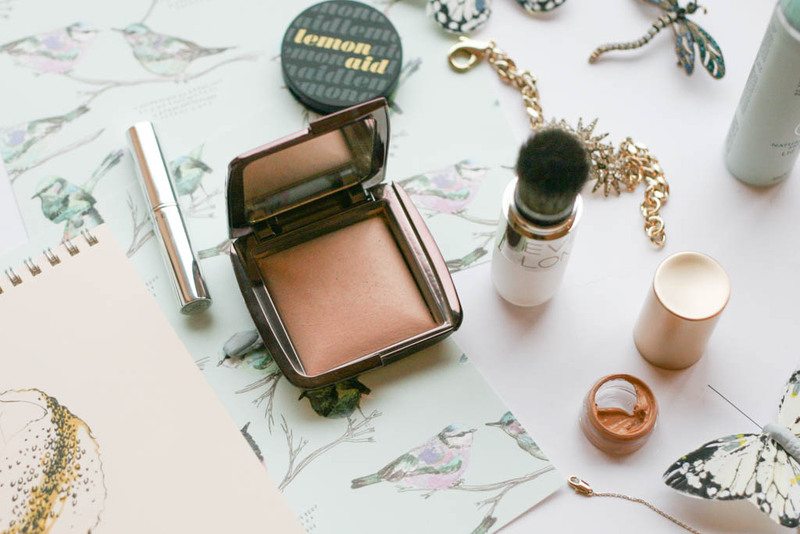 I’ve also been wanting to try a new setting powder and although technically the Hourglass Ambient Lighting Powder is not new to me, I have heard great things about the one in Dim Light, which is more peachy looking and adds a subtle warm glow. So far I am really liking this and contrary to what I said about Diffused Light, I think this one suits my skin tone better. I didn’t stop there though…..oops and ended up buying the Eve Lom Sheer Radiance Translucent Powder in Dawn. The packaging is genius as it comes in a tube with a brush attached to it and the loose powder is automatically released as you apply it. I was skeptical about this at first as I felt like I would not have enough control with the application, but this is not the case at all. This powder is so finely milled, it leaves a non-cakey radiant finish and it is perfect for on the go. Once I have had a proper chance to use these powders I am going to do a full review but so far so good. If you are wondering what that teeny tiny pot is, well, that’s a sample of the Kevyn Aucoin Sensual Skin Enchancer. 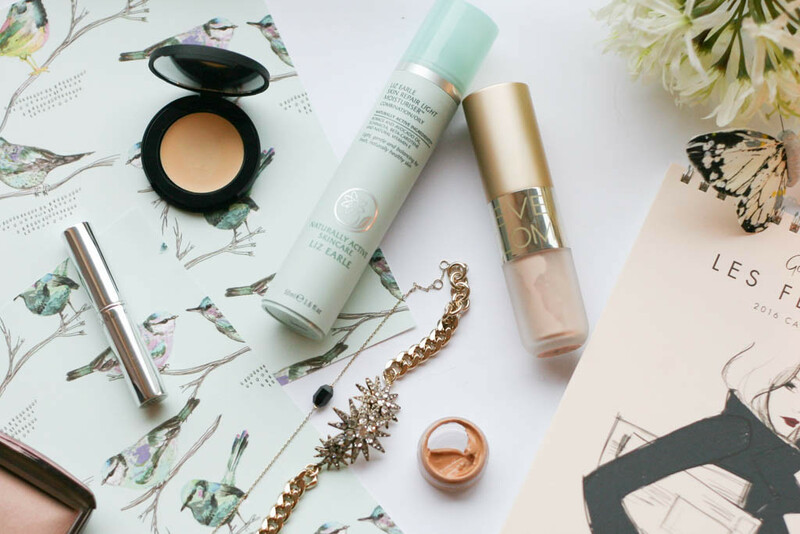 I have been on the look out for a heavy-duty concealer for some time and although I don’t have particularly bad skin, there are always going to be some emergency moments that need to be catered for and I like to be prepared. I was lucky to get a sample of this and have to say that this is a little miracle in a pot and I will be buying this when my sample runs out. And now on to the sneaky purchases and yes they feature jewellery, stationary and lipstick, how predictable am I?! 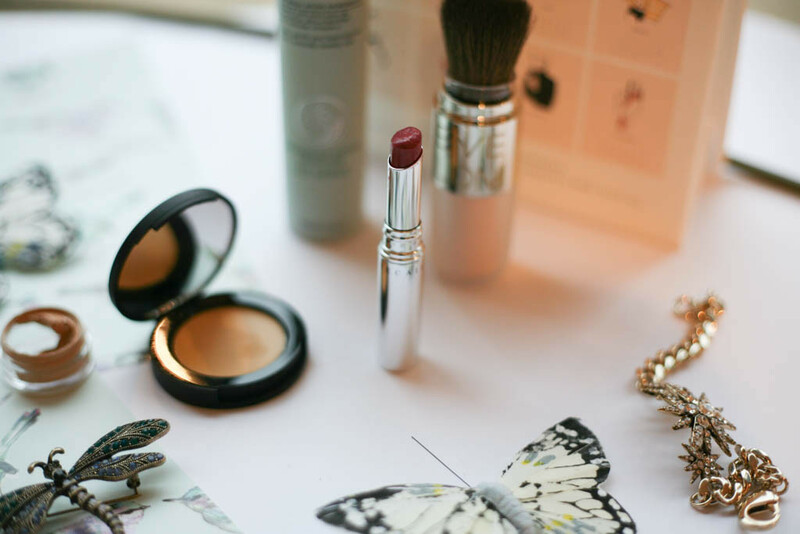 In terms of lipstick the Chantecaille Hydra Chic Lipstick in Aster is a super pigmented, creamy and hydrating raspberry pink which translates into more of a berry on me. It’s normally a colour I stay away from as anything berry often makes me look dull but this is brightening whilst still being warm. 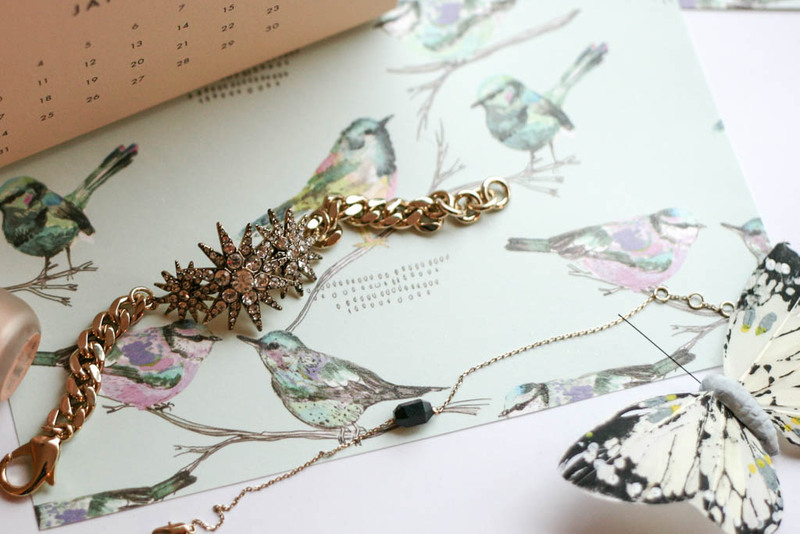 I’m loving my & Other Stories bracelet and this Whistles Lulu Frost Star bracelet. Both are very different but will go with anything. 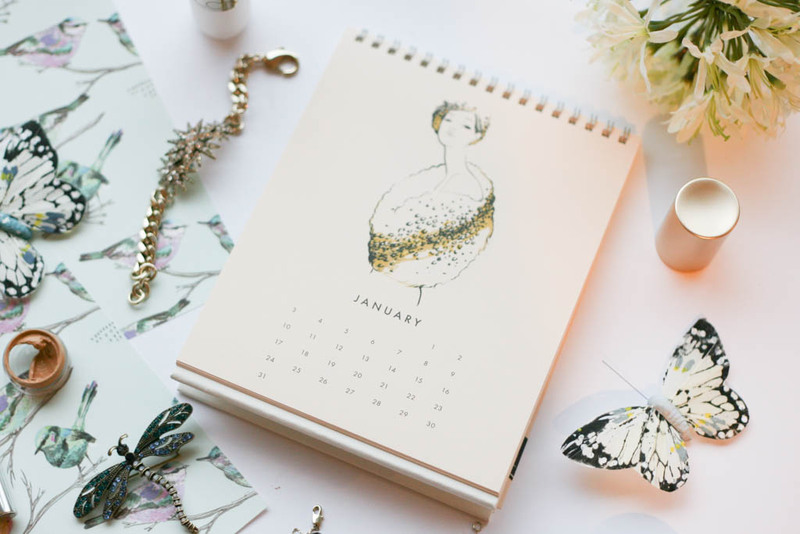 Lastly my 2016 Les Femmes Desk Calendar from Rifle Paper & Co is going to take pride of place on my desk at work. I absolutely adore the illustrations and it has my name written all over it!